Madera County Economic Development Commission, administrators of the Madera County Energy Watch Program, would like to announce a new free tool that is available to the community to test household appliances for energy efficiency. 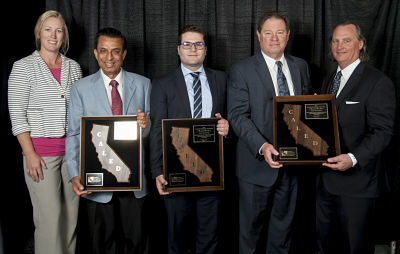 Madera County Economic Development Commission (MCEDC) received the Award of Excellence from the California Association of Local Economic Development (CALED) at their annual conference recently held in South San Francisco. The Madera County Economic Development Commission (MCEDC) held their annual State of the County Luncheon on March 31st. A record crowd of over 220 people listened to commentaries on Eastern Madera County, the City of Chowchilla, the City of Madera and the County of Madera.